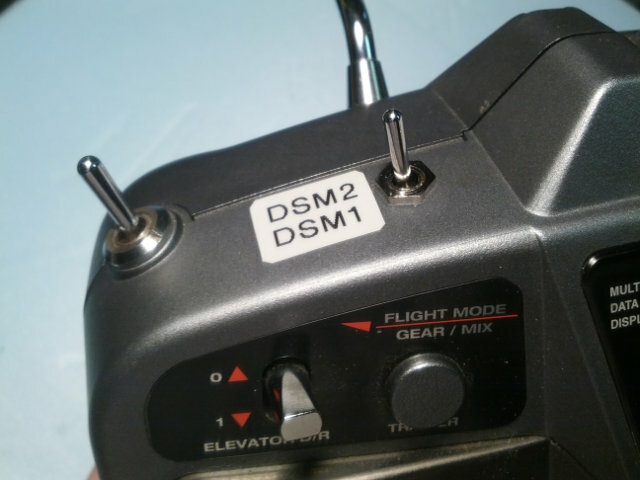 I like my first-generation Spektrum DX6 transmitter. While it's coming up to ten years of age, for my boat hobby, it does everything I need it to do. Sure, it doesn't have a fancy dot matrix screen or the latest in transmitter technology, but it works. 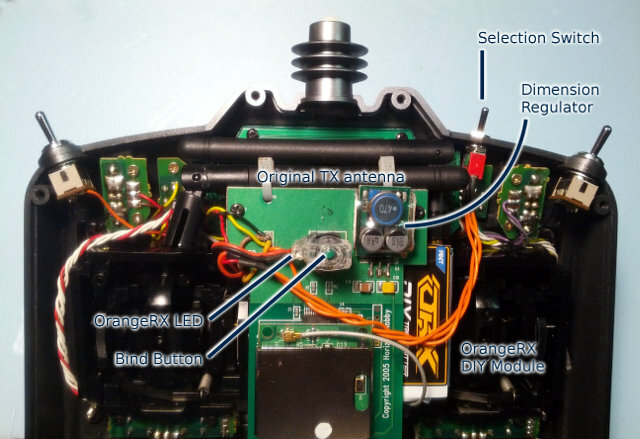 Even with radios like the very affordable OrangeRX, I cannot justify replacing this trusty transmitter. 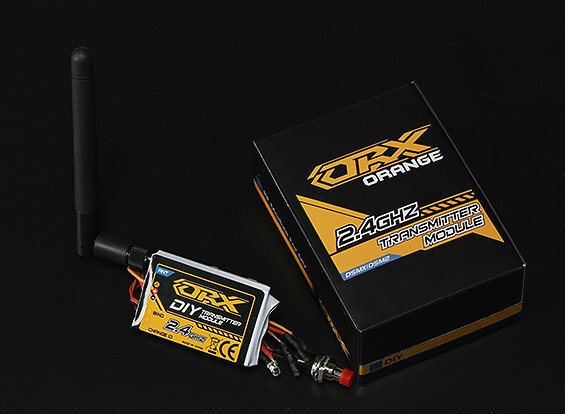 Still, I wanted to be able to take advantage of the very cheap and readily-available OrangeRX receiver modules. With new projects for this summer, it became clear that I will need radio equipment for an upcoming boat, and I'm clean out of AR6000s. That last one seemed very appealing to me. However, upon researching it, it became clear that it might be tricky. There were anecdotal reports that people had tried it and the signal levels weren't quite right, and that perhaps the pulse signal was altogether inverted. Rather strange, when one considers that the original Spektrum radio was basically a rebranded JR transmitter. Costing right around $30, it promised to be compatible with pretty much every radio. It claimed to have the smarts to determine signal levels at startup and match itself to whatever comes its way. Brilliant! There were reports in the comments that some people had even managed to convert their 1980s-vintage radios to DSM2/DSMX. This was it, the product that would solve my transmitter inadequacies. It was ordered promptly and came relatively quickly. Even without a plug-and-play module housing, the unit is simple to work with. 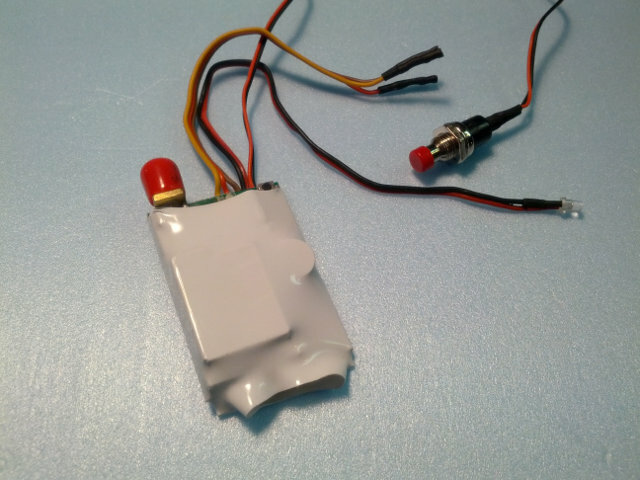 It has an antenna jack (and comes with a pigtail so the antenna can reach anywhere), a status LED, a bind button, and leads for positive, ground, and PPM signal. Simple. But it would be a shame if all of my AR6000 DSM modules just became useless after this upgrade. And besides, this was a really hacked-up radio anyway. Would it make sense, and would it even be feasible, for my transmitter to have two radio modules in it? As it turns out, the answer it that it would be very feasible. I could even potentially reuse the bind button so that there is just a single shared one between the two modules, and maybe the LED as well. A quick test proved the new module worked with my radio. Another quick test after that showed that by keeping ground and PPM common, but switching the positive lead, I could choose which module was active; it even worked at runtime without turning off the radio! Could the bind button and LED be as easy? With the supplied bind button chopped off and the old one linked in as per the photo, it worked great. Depending on which module was powered up, it worked as expected. The LED proved more tricky. It would appear that there are differences in the pull-up resistor arrangement, and the LED performs very poorly if both units are hooked up simultaneously. While it was a shame, the simple alternative was to attach the provided LED to the clear bind button as a second light. It is certainly much brighter than the original LED and would be visible, even patched in at the side of the button. 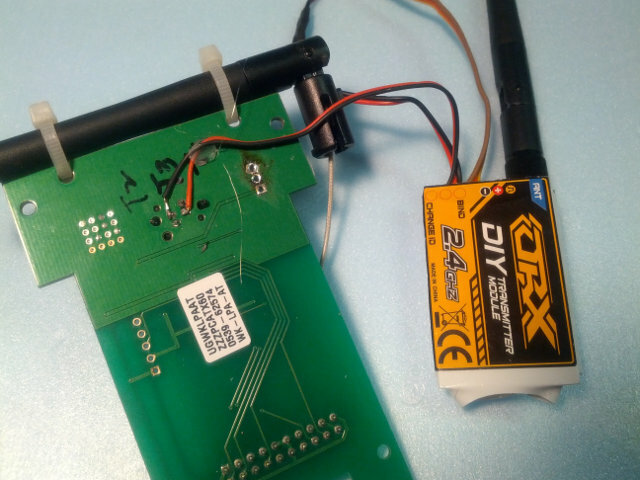 Is possible to take an old transmitter and very cheaply upgrade it to the world's most compatible DSM-1/2/X transmitter? Yes, it is. In a few years I may want to upgrade my transmitter. But for now, this unit completely meets my needs.